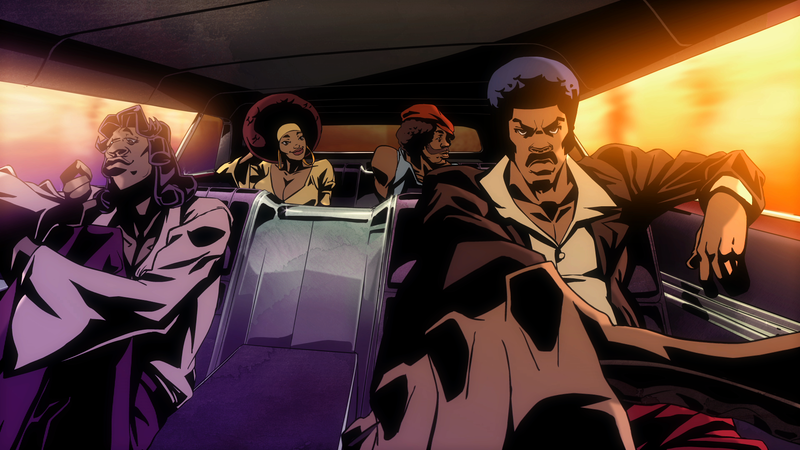 The Black Dynamite Animated Series further chronicles the exploits of Black Dynamite and his crew. Executive produced by Carl Jones (The Boondocks, Freaknik: The Musical), the series features the voice talents of Michael Jai White, Tommy Davidson, Kym Whitley, Byron Minns, Clifton Powell and JB Smoove. Much of the talent from the cast of the movie, PLUS Clifton Powell (legend) and JB Smoove (!!!). Check out our interview with Michael Jai White and Scott Sanders and if you haven’t already, pick up your copy of Black Dynamite on DVD and keep the movement moving. It was on the Facebook fan page, so it must be true. Ape Entertainment. Preview book debut at New York Comic Con, October 2010. We’ll also be previewing the new Black Dynamite Animated Series on [adult swim] at New York Comic Con on October 9. Show is Exec Produced by Carl Jones (The Boondocks). They hinted at this in our interview with the Black Dynamite creators, glad to see it finally going down. Last week, we got the chance to sit down with Black Dynamite creator/star Michael Jai White and the film’s director Scott Sanders to discuss the character, the influences, and whole bunch of other stuff that you need to watch the video to find out about. They were awesome, as is the movie (in theaters October 16th, by the way), and extremely excited about the flick, so make sure you go out and support. We were lucky enough to see the movie this week and, trust me, you will not be disappointed. It is every bit as funny as the trailer and viral videos. The Black Dynamite Soundboard recently launched and it features a ton of the best quotes (Although there are some great ones not included. Guess you’ll just have to see the movie). Also, take the time to “Black Dynamite Yo’ Self“. I think you’ll be pleased with the improvement. And guess what? We sat down with Black Dynamite star Michael Jai White and director Scott Sanders this week and we’ll have the video interview for y’all to view tomorrow! 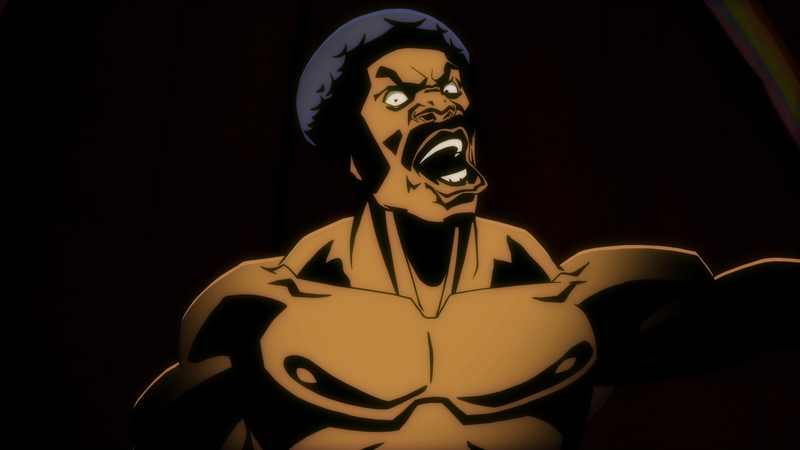 Another hilarious Black Dynamite promotional video. If the movie is even half as enjoyable as these videos, we’re in for a classic. There’s been a ton of viral videos and marketing surrounding the upcoming release of Black Dynamite, and recently this joint hit Funny or Die. Black Dynamite visits the set of beloved 1970s television show “Ding Dong Roar” with an anti-Smack message. All the classic characters are here — Funky Feline (voiced by Tallyhoo Rasulaboo) and Strange Little Alien Child join in this classic anthem of drug abstinence. Original footage provided courtesy of Fight Smack In The Orphanage. Check out a response from some familiar faces, after the jump. From the mind of Spawn… I mean, Michael Jai White comes: Black Dynamite! Black Dynamite hits theaters October 16th and they’ve been doing some very interesting things promotion-wise. More info after the jump.